Skylights, flood the inside with natural light. Free 1.2m x 1.2m fixed glazing skylight for all orders placed before the end of APRIL 2019. For all deposits placed before the end of April 2019, we will supply and install one of our 1.2m x 1.2m fixed glazing skylights free of charge on all of our garden rooms, offices and studios. Ask about this during your free site survey. A great way to flood the inside of your new space with natural light and a popular option. Double glazed, argon filled, roof lights with self-cleaning glass. 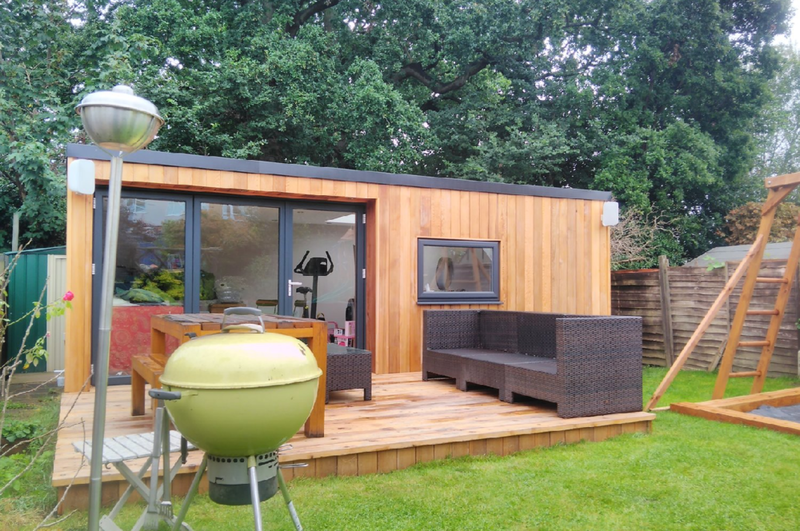 Fully compliment within the 2.5m height limit and available on all garden room designs.